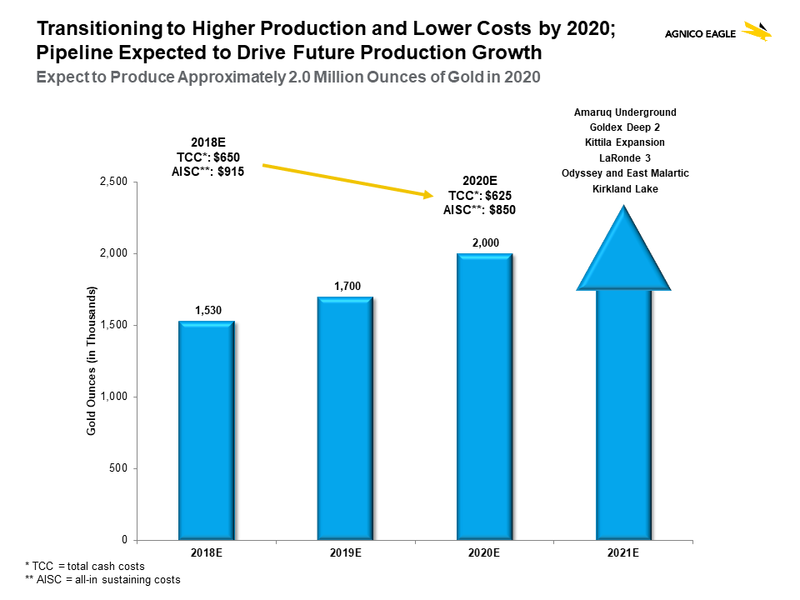 Agnico Eagle Mines Limited - Investor Relations - Why Invest? Home > Investor Relations > Why Invest? 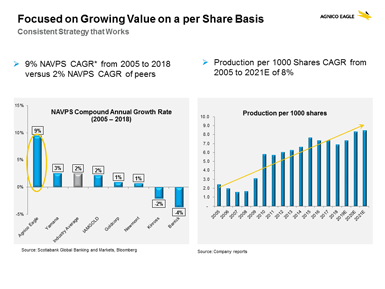 Our goal is to deliver high quality growth – while maintaining high performance standards – in order to generate superior long-term per share returns for our shareholders. 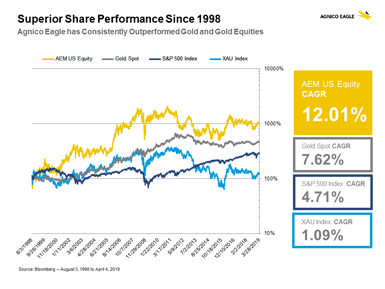 Since 1998, Agnico Eagle has consistently outperformed both gold and gold equities with a compound annual growth rate of approximately 12%. Since its beginnings in 1957, Agnico Eagle prides itself on having one of the lowest share counts amongst its peer group. 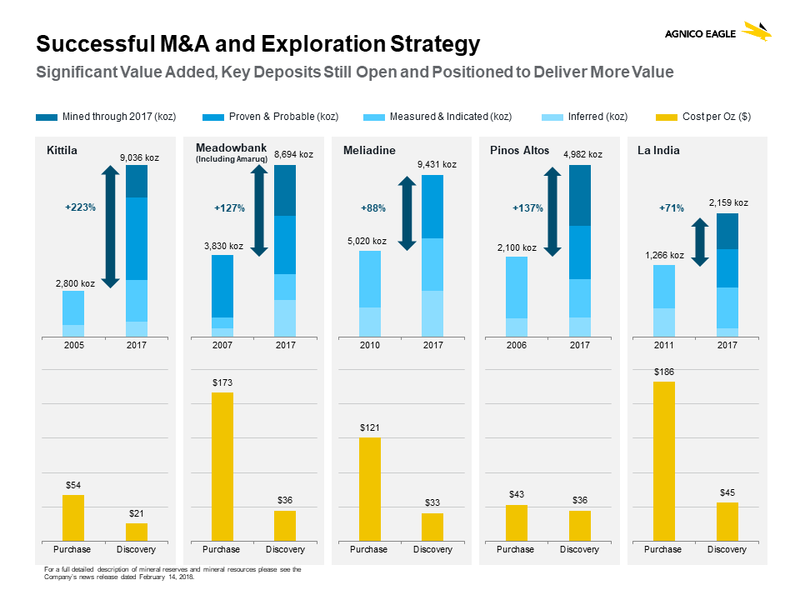 Our long-term plan is to continue to increase shareholders exposure to gold and to generate superior returns on a per share basis, with a primary focus on increasing cash flow and net asset value (NAV) per share. 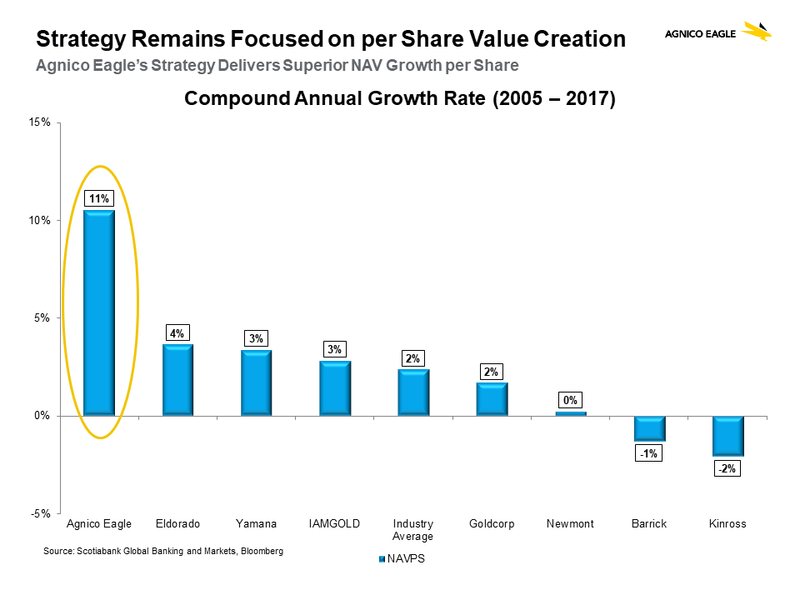 Over the past several years, Agnico Eagle’s strategy has delivered superior growth in the important per share metrics. Our operations continue to exceed their production targets – allowing Agnico Eagle to increase our guidance to the market and lower our costs. 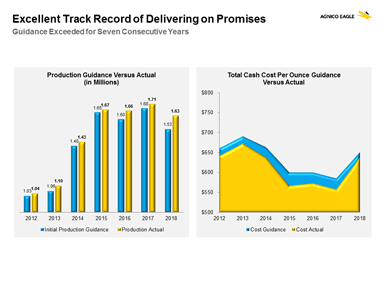 In 2018, our mines produced 1.63 million ounces of gold, compared to our market guidance of 1.53 million ounces. 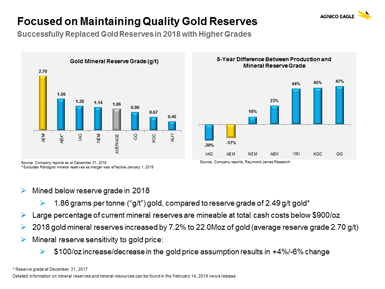 We also outperformed our cost guidance by approximately 2%, producing gold at a total cash cost per ounce of $637 on a by-product basis versus our target of $650 per ounce. 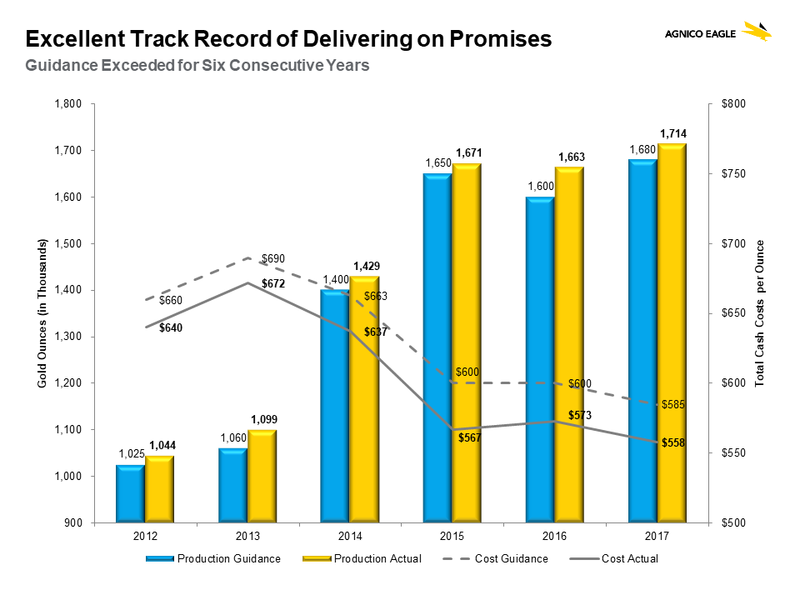 Agnico Eagle’s growth is driven by a consistent investment strategy and solid execution. 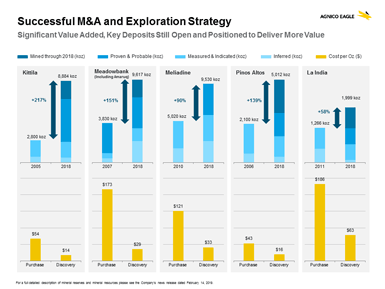 Since 2005, we have added significant value through the acquisition of several development stage projects, where reserves and resources have expanded through focused exploration activities. Five of these projects became producing mines. Our current project pipeline is expected to drive a new phase of growth for our company over the next five years. Our pipeline includes low risk organic (minesite) growth opportunities at all of our operating regions, and significant production growth in Nunavut at our Meliadine and Amaruq properties. 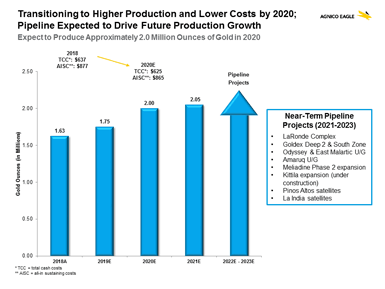 We anticipate growing our payable gold production from approximately 1.75 million ounces in 2019 to approximately 2.0 million ounces in 2020. Our high quality gold reserves also support our future growth. 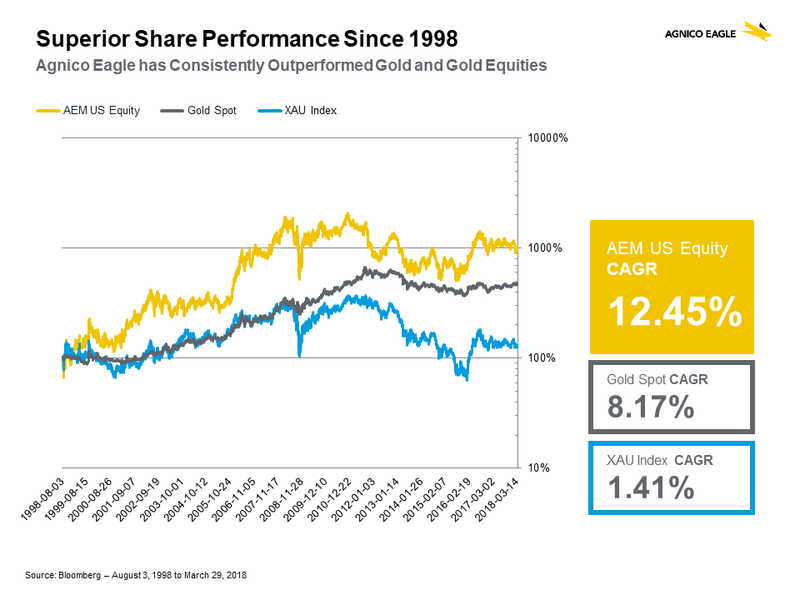 Agnico Eagle’s average gold grade is more than double that of our North American peers. 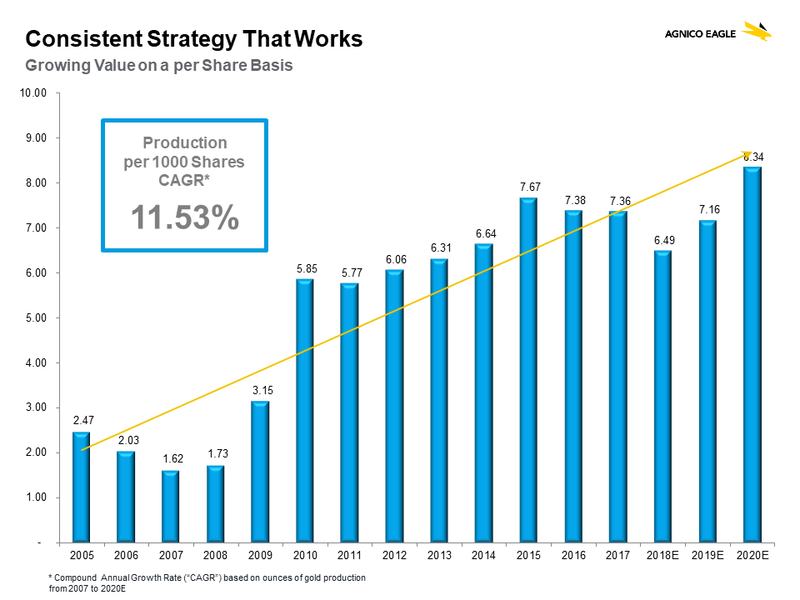 Agnico Eagle has a long history of paying dividends to our shareholders. 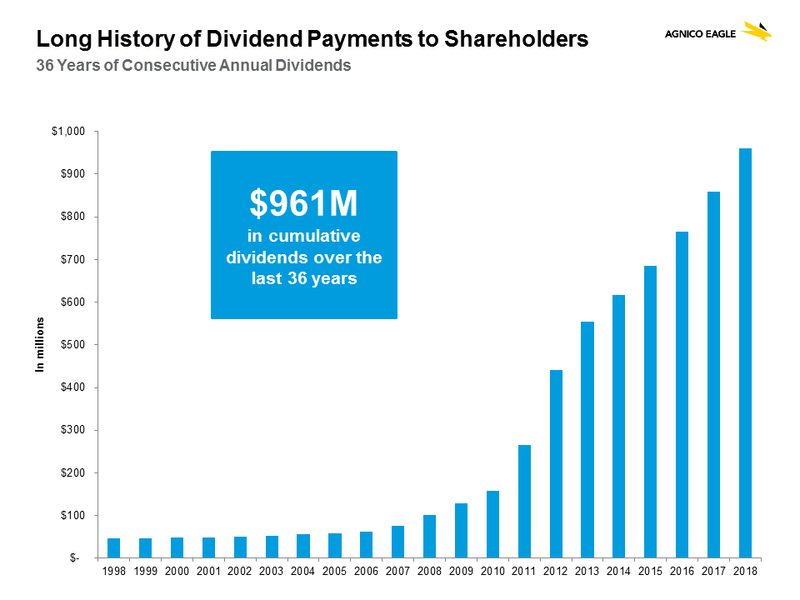 In February 2019, we declared our 37th consecutive annual dividend per share payment with cumulative dividends of ~$961 million paid since 1983. In February 2019, we announced a 14% increase in our quarterly dividend – from $0.11 per share to $0.125 per share. Agnico Eagle’s goal is to continue increasing our dividend payment to shareholders over time. We understand the benefits of engaging with our communities so that we remain partners of choice in the mining regions where we have operations, development projects and exploration activities. 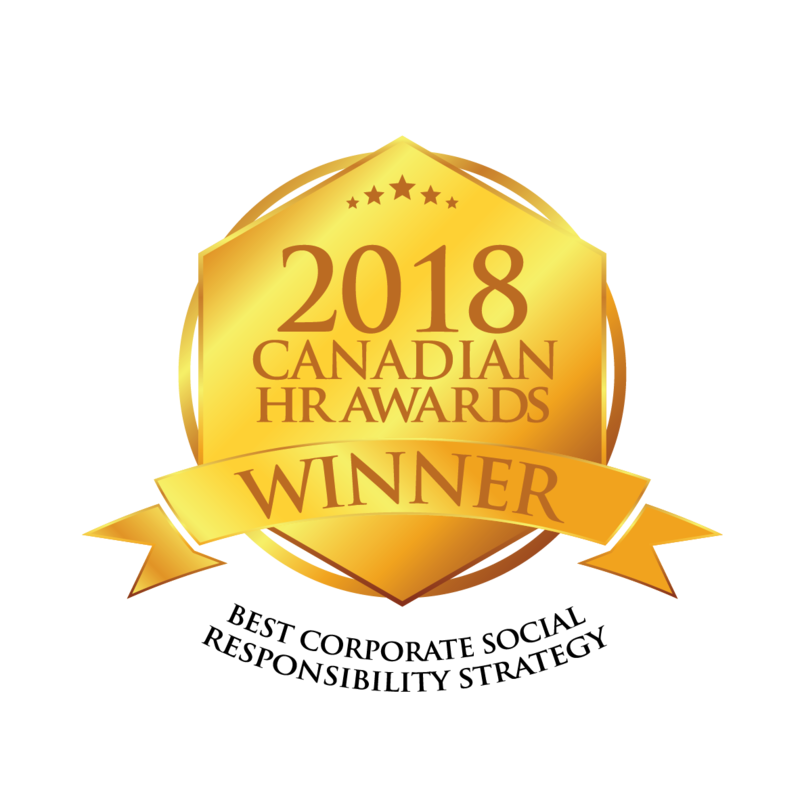 This will help ensure that our project pipeline continues to maintain and attract high-calibre employees, provide local businesses with economic opportunities and, ultimately, create value and deliver better returns to our shareholders.